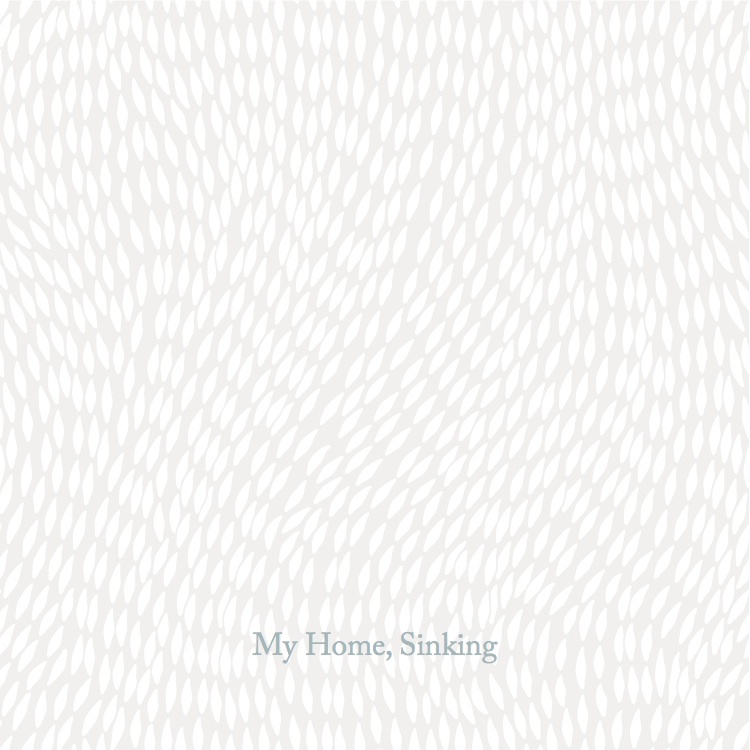 Enrico Coniglio–recording as My Home, Sinking–offers his finespun debut with contributions from Katie English, Barbara De Dominicis, Laura Sheeran, Orla Wren, and others. The joined arsenal boasts acoustic instrumentation as well as synthesizer, manipulations and field recordings. Here guitar, cello, piano, harmonica, melodica, percussion and voice ring alongside Korg Monotron, Orla Wren’s processing, and Coniglio’s vinyls. Tracks range from glowing string examinations to humming whitewashes, from vocal reveries to textured pop allure. Listeners may already be familiar with the guitar reverberations of opening track “The Void,” which was originally released on the Wire Tapper CD #26, in August 2011. Remaining tracks are previously unreleased, yet still beckon like old companions. “Touching the Void” regales with De Dominicis’ surreal choir of one, the coquettish spoken word as lovely as her ravishing vibrato. “Skyline Obscured” tenders the gentle optic brume of ambient–that one kind of visual pollution worth hoping for. Keeping with the subject of horizons, “Sunset Eyed” sets electronic pinpricks against De Dominicis’ tender dexterity, English’s hopeful pizzicato, and the composite thud of percussion. Elsewhere “Fading to White” floats above a simple, unadorned guitar lick, weightless with Sheeran’s savory vocals and the untethered gusts of harmonica. Sheeran also delivers a humming, layered performance on “The Body Tired,” a languid, guitar-driven beauty which simply mesmerizes. With this tender and crafted release, Coniglio has announced a new direction, and a number of Fluid Audio alumni have headed there with him. Perhaps we are all at risk of sinking in.